savings on work essentials from relaxed to dressy, from office to gym. Teamwear with professional logo embroidery service. 60/40 Cotton/Poly Blend for Performance. Long + Short Sleeve + 3/4 Sleeve. Mens and Womens Long + Short Sleeve. The Best Shirt in the Range! Mens and Ladies. Less wrinkles, easy to iron. Also in Navy, Black. Contrast inside collar-cuff. Wear open neck, business or dressy relaxed. From $50.00 each (20 pcs) ex GST. Players Choice Edition. Modern fit shirt. inside the cuff. Notice the styled Collar. with Business or Club logo. No Pockets. 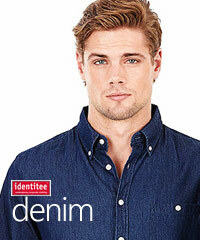 Features a sporty Oxford Chambray fabric. Blue, Charcoal and White. Mens and Ladies. Service uniforms. Long and Short Sleeve. Womens 6 to 26. Long Sleeve. 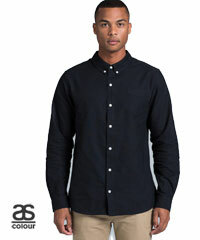 Button down collar, Mens with Pocket. 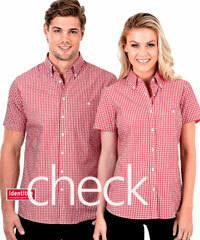 Single Colour gingham check pattern. Red, Navy, Black, Racing Green, Sky Blue. fantastic for hospitality, sports clubs etc. on Sports TV. Gingham Check. Navy & Sky Blue. trims inside the neckline and cuffs. 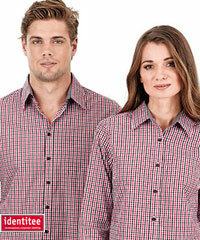 Deluxe Quality 60% Cotton-40% Polyester. Sky Blue, Lilac. Mens Front Left Pocket. High performance Mens and Womens. Premium mini square textured mateterial. Excellent value for High Usage uniforms. Cotton Rich. Wear with Tie or Open Neck. White, Blue, Silver and Mint. French Blue are available up to Size 37-46.
modern Career Fit and Pocket on Left Chest. Checks, Dots, Fine and Bold Stripes. 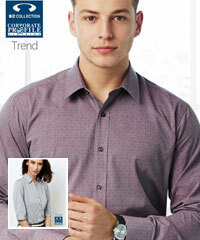 Royal Oxford and Easy Care Poplin. requirements as we can provide helpful advice. and Pink/Blue soft tonal check. Mens Sizes 37-50 and Ladies Sizes 6-22. Easy to Iron Cotton Rich fabric. with or without a tie. Perfect for Outdoors. Enjoy natural comfort 100% Cotton. Similar to Brand Shirts in Department Stores! stripe gives a stylish look. Mens and Ladies. From $46.80 (20 pcs) ex GST. & Melon Red Check. Cool Look and Fashion Fit. Pocketless. Ladies Short & Long Sleeve. Premium shirting fabric. Stock & Custom. $52.80 (20 pcs) ex GST. Colour and fun tropical shirt design. Events, Cocktails, Golf Days, Tours, Resorts. Red and Olive in this range. Lightweight, cool and colourful shirts. 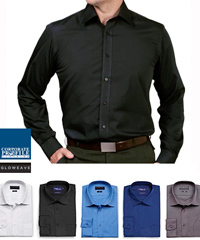 versatile uniform shirts. 17 colours. on Cuff, Inside Collar and Inside Button Placket. Department Store quality. Mens and Ladies. Green Blue, Melon, White, Light Blue. We can also help with Custom Order Logo Ties. Long and Short Sleeve. Button down collar. Black, Vintage Grey, Vintage Blue, Indigo Blue. Urban style, Long and Short Sleeve to Size 7. Tone on Tone Buttons, Easy care laundering. 60% Cotton 40% Polyester for high usage wear. Available Sky Blue, Grey and Graphite. Womens 3/4 Sleeve. 7 Colours. Breathable! 55% Cotton Nano Fabric is Stain Repellant. Pale Blue, Slate Blue, Navy. Fun, colourful designs for summer events. Aloha, Big Flower, Frangipani and Kava. Ideal for Trade Shows and Golf Days. Mens, Womens and Kids sizes. Three Quarter Sleeve and Long Sleeve options. Mauve and Slate over the 3 styles in stock now. 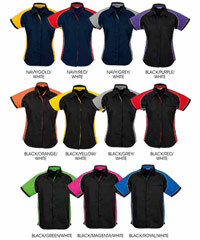 Cool shirts for staff or teamwear. $34.80 (12 pcs) ex GST. Well made, detailed, and affordable. White, Sky Blue and Black. 4mm Buttons, Cutaway Collar, Cool Cotton. Button up shirt. Short sleeves with piping. Great for staff in retail and hospitality. UPF Standards to protect the wearer from UVR. Ultra Violet Rays. Protection from Sunburn. 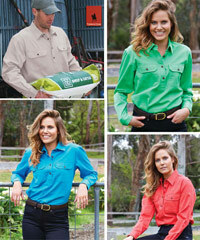 Long lasting Cotton twill provides great value. outdoor staff, coast and summer themes. Regular fit with button down collar. Mid Weight 160 gsm. 100% woven cotton. Navy, Black, White, Army, Grey, Light Blue. Cafe Fit, Left Chest Pocket, Classic Collar. Mens Sizes S-6XL and Ladies Sizes 6-26. Navy-Green Check with Logo Service. cuff and side slit. Mens Sizes SM-3XL. Navy-White Check with Logo Service. Denim shirts. Roll Up Sleeves with Tab. Fantastic modern styles. 100% Cotton. with very thin stripe. Logo's look brilliant. 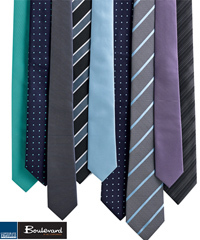 Wear neatly open neck or with a tie for Men. White, Navy, Sky, Mauve, Charcoal, Silver. 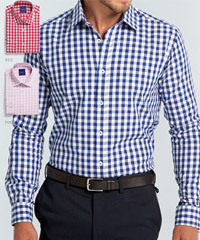 Two tone gingham check pattern. Taupe/Black/White. Mens King Size 7XL. Great for hospitality, sports club merchandising. Denim Shirt available in Mens and Ladies. 2 Front Pockets, Button Down Collar. Cotton Shirt with Double Chest Pockets. Black, Navy, White, Stone, Sand. Left sleeve has a pocket with button down flap. Fabric has a peach finish for a softer feeling. 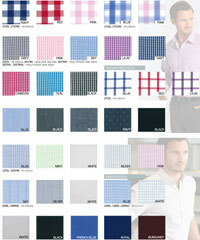 Benchmark Business Shirts in 8 colours. Womens 3/4 Sleeve and Short Sleeve. Mens Long and Short Sleeve. Teflon repels water and oil based spills. Fabric looks new for longer. Wrinkle Resistant. Mens Long & Short Sleeve. Ladies in Short and 3/4 Sleeve. From $24.80 (20 pcs) ex GST. 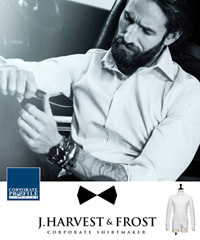 High performance Mens Business Shirts. 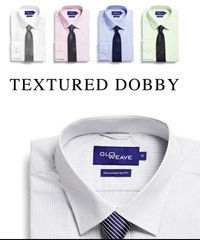 with a tie, or smart casual with open neck. Perfect for relaxed business wear. Security, Travel Groups, Office wear. Ladies available in 12 Sizes, Mens in 10 Sizes! 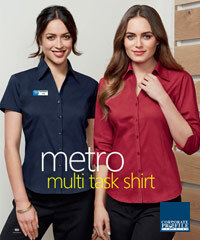 Classy shirts for Business and Teamwear. 3/4 Pant, Shorts and Skirts. Colours: Black, Navy, Charcoal and Taupe. your organisation. Fail Safe and Inexpensive. added stretch in the waistband. Colours: Navy, Black, Charcoal and Taupe. (available separately too). Machine Washable. Perfect for high usage Staff Uniforms. Teamwear. 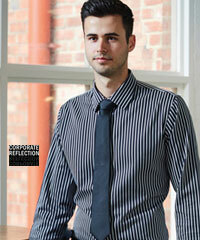 Fantastic Mens Smart Casual Shirts. Large Window Pane Check Design. Deluxe Easy Care CVC 60 Cotton-40 Polyester. Three Colours: Red, Lilac, Navy. 12 Colours. Womens Size 6-26 and Mens S-5XL. New Style! Plum, Silver and Midnight Blue. Notice the narrow collar. Styled to wear in or out. Cotton Blend 50% Cotton, 50% Polyester. Ladies has Y line placket, shoulder pleat detail. and modern fit of these excellent shirts. For Business and Teamwear. Easy Ironing.